LED lights take a huge place on the market and for a good reason. They are more efficient, cost effective and come with a longer life span compared to traditional lights. This means choosing LEDs for your home or office is always the best possible idea. However, there is a time when we need light in the places where there is not. In this cases, torch lights are what comes to help. They are small in size what makes them perfect for carrying anywhere with you. No matter you are camping, hiking, biking or even diving there are suitable types of torches for your needs. 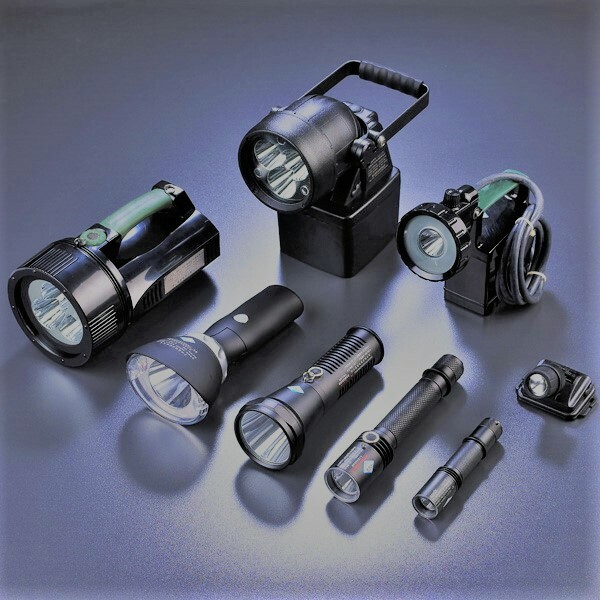 Before diving into the range of different types of torches, you should determine your needs. All models come with a specific range of uses, so here is how to make the right choice. These are the most common types of torches that can be used for general indoor and outdoor purpose. They were introduced in 1898 and were often used by the emergency and police service but not for long since they suffered from short battery life, and back then the batteries were quite expensive to replace. Fortunately, these models become more advanced than ever so today they come with superior battery life, smaller physical size and increased brightness. What makes these torches popular is their design that keeps your hands free. They very popular among, bikers, mountaineers, and cavers. The bulb is mounted on a caving or climbing hat or constructed as a headband to be worn on the head. Because of this, they provide the user with illumination in whichever direction he faced. Today, the advanced LED models use smaller, more long-lasting batteries that can be placed right inside the light itself. These LED torches can be found as both, a torch or a lantern. Camping torches usually come with a power adapter with the ability to be recharged while others come with a standard plug that perfectly fits into any car’s cigarette lighter socket. Today, camping LEDs come with batteries that feature extended life span and improved brightness over their older counterparts. The advancements in LED light technology have changed the bulky, expensive lamps with much smaller and lighter bicycle lamps. They have a range of flashlights schemes and as an added feature, many front, white bicycle torches come unclipped from the handlebars. This means the user can use the light as a small hand torch while also helps prevent opportunist theft. Whether used only for emergencies or as a part of your outdoor lifestyle, a torch is considered as an invaluable tool.